© 2018 Tay Street Baptist Church. Tay Street Baptist Church is a friendly church with people of all ages. We encourage people to come and check our church out. We want you to feel welcome when you visit us. We won’t pressure you in any way. 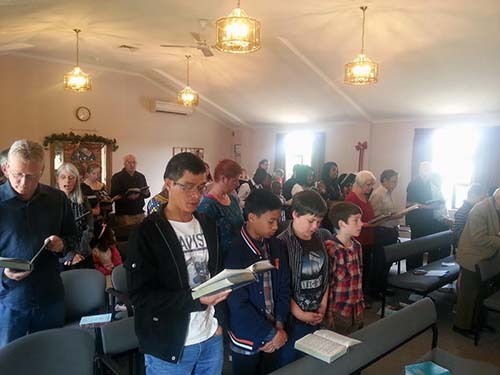 We offer opportunities for children and youth to study the Bible and enjoy various activities with people their own age. We also offer adult Bible studies and regular services for everyone. We understand that people come to us in various stages in their spiritual journeys. We’d like to meet you where you are and help you grow spiritually. Feel free to ask questions. We try to meet the needs of individuals because we know each person is special to God. Pastor Art Brammer has been our pastor since 1998. Art and his wife Deb are Americans. They graduated from Faith Baptist Bible College in Ankeny, Iowa in the USA. 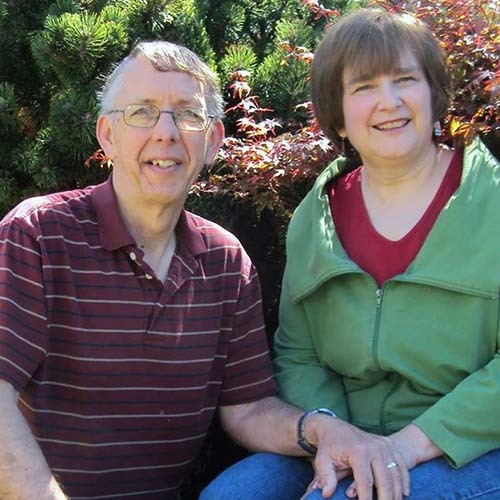 The Brammers served as missionaries in Taiwan for 16 years. Since then, they have enjoyed serving in Invercargill. Below are some of the highlights of our doctrinal statement. For a complete document, you may contact the pastor. We believe that the Word of God is inspired by God. It gives us an infallible guide for what we believe and do. We believe in one true God Who shows Himself to us in three persons: the Father, the Son (Jesus), and the Holy Spirit. We believe Jesus was born of a virgin, lived a sinless life, died as a substitute for the sins of all people, and after 3 days in the tomb came out alive again. We believe that the Holy Spirit gives believers the power to lead lives which glorify God. We believe that the sign gifts, such as the gift of speaking in tongues and the gift of healing, were temporary gifts given at the beginning of the church. These gifts are no longer necessary today and passed away when the New Testament was completed. We believe God offers forgiveness to all who are sorry for their sin and truly believe and accept that Jesus died in their place to pay the penalty for their sin. This salvation is a free gift that God gives to all who believe. We believe in a literal heaven and hell which is the destiny for all people. All people sin and deserve to be separated from God for eternity, but God offers salvation to all who will accept it in simple faith. We believe Jesus will return in the clouds one day to receive all believers, living and dead, and take them to live with Him in heaven. We call this the rapture. Following that will be seven years of tribulation, when the world will experience great trouble. Jesus will return to the earth after that time to reign on the earth in a literal kingdom. Each person journeys through life. At death he reaches his eternal destination. Most people would like to go to heaven, but they aren’t sure how to get there. How good do you have to be to go to heaven when you die? As you compare yourself to other people you may feel that you are a pretty good person. You probably do many kind things for others. You’re not nearly so bad as some people you read about in the paper. You may think that surely God will accept you the way you are. Many people think that if we do more good than bad in our lives, God will accept us. But God’s standard of behaviour is much higher than society’s standard. God is perfectly holy and good and right. He has never sinned or done anything wrong. He can never sin. It is His nature to be holy and without sin. He can’t let sin go unpunished either. How can we ever live up to such a perfect standard? We can’t. But that’s only part of the story. The Bible tells us God is a Spirit. He exists everywhere. He has all power and knows everything that has happened and will happen. He is one God but He shows Himself to us in three persons or beings—the Father, the Son, and the Holy Spirit. God created our world and every living thing in it. He provides all we need to sustain life. God loves every person and wants every one to live with Him in heaven after death. But every person sins. This separates him from God. God had a problem. He loved people, but He couldn’t overlook their sin and still be perfectly holy. God also had a solution. Jesus was the solution. Jesus is God the Son Who has always existed with His Father and the Holy Spirit. About 2000 years ago Jesus took on a human body and was born on the earth. Then Jesus was a person and God at the same time. He looked like an ordinary person as He grew up, but He never once sinned or did anything wrong. Jesus came to earth to provide salvation. As Jesus became an adult He continued to do His Father’s work. Jesus taught about God. He healed people and raised dead people back to life. He showed He was God by doing miracles that no ordinary person could do. Though Jesus never did anything wrong, some people hated Him. Jesus allowed them to take Him and nail His hands and feet to a cross. He hung there until He died. This was crucifixion, a common method the Roman government used to kill criminals. Jesus didn’t deserve to die. He let people kill Him because He was dying in the place of every person on earth. Each person deserves to be separated from God forever. We are God’s enemies. Our sin separates us from a holy God Who cannot let sin go unpunished. But Jesus died in our place to take our punishment. Through Jesus, God offers us the wonderful gift of salvation. What does it mean to “believe in the Lord Jesus Christ?” It means that you recognize that you have done wrong and offended God. You are sorry for your sin and you want God’s forgiveness. You accept God’s gift of salvation by believing that God will forgive you because His Son Jesus took your punishment for sin. If you want to have your sins forgiven and become friends with God you may want to pray words like these: God, I know that I have done wrong. I am sorry for all the wrong things I have done. Thank you for sending Jesus to die in my place and take my punishment. Please forgive me for my sins. I believe You do forgive me. If you prayed that prayer and you really believe the words you prayed, God has forgiven your sins and given you a new beginning. Now you need to learn more about God and begin living a new life for Him. Can I find purpose and happiness? 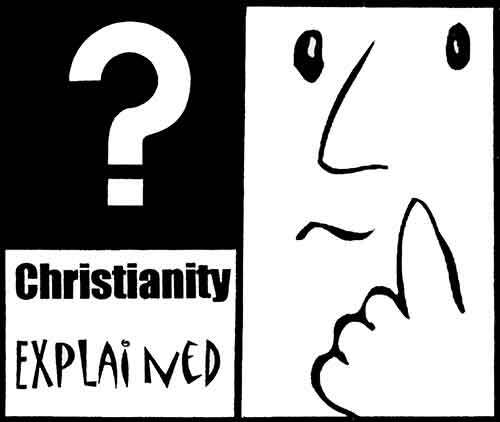 Christianity Explained is a six-week course designed to teach the basic building-blocks of the Christian faith. This informal, small group study will allow you to ask questions without pressure of any kind to make a decision. You don’t need to know anything about the Bible. You won’t be asked to read, pray, or answer questions. You will be given time to ask questions or discuss these Bible principles. For more information regarding the course, feel free to contact the pastor. How long has the church been going? The church was organized in 1993. Pastor Richard Brousseau was the original pastor. It was formerly called the Independent Baptist Church of Invercargill. We call ourselves Baptists because we hold to Bible teaching which has been held by Baptists for centuries. “Independent” simply means we govern our own church as a congregation according to the guidelines in the Bible. We are not governed by a higher organization or denomination. We got some feedback from some people that the word “independent” had come to have an unfriendly feel to it. To some it sounded like we don’t welcome people from outside or that we felt superior to other churches. In 2007 we changed our name because we don’t want to give that impression at all. “Tay Street Baptist Church” helps people remember our convenient location on Tay Street, one of the main streets in Invercargill. Is anyone welcome to come to Tay Street Baptist Church? Yes, we welcome everyone. Why not stop by and visit us during a regular service? You may find that the morning service at 11am is the best for a first visit. It will give you a feel for what our church is like and you can ask any questions that are on your mind. We understand that our church may not be a good fit for everyone, but we are happy to have people visit and check us out for themselves. Bible is the sole authority for faith and practice. It is our only authority for what we believe and do as a church. Autonomy of the local church. Each local church governs itself. It has no governing church body that tells individual churches what to do. Priesthood of the believers. Each believer can pray directly to God. Two offices. The Bible lists two church offices, that of the pastor and the deacon. Immersion. Believers should be baptised by immersion after salvation. Separation of Church and State. The government does not have the right to tell churches what to believe. Two ordinances. The Bible teaches each church should practice baptism and the Lord’s supper. Believers observe them to be obedient, not to gain salvation. Soul Liberty. Each believer is responsible to God for his actions. You call yourselves a fundamental church. What does it mean to be a fundamentalist? We believe that the Bible was written by men who were moved by God to write in such a way that their original words were totally without error and exactly what God wanted them to write. We believe that Jesus Christ was born of a virgin and lived His life totally without sin. We believe He died a literal death in the place of sinners who deserved to die. We believe His body became alive again. His body was changed so that it would not die again, but it was His real body. The church is based at 342 Tay Street, Invercargill. You can view the service times here. The postal address for the church is PO Box 1415, Invercargill 9840. You can reach the pastor at 66 Thomson Street, Invercargill. Phone: (03) 214 1188. Email: pastor@taystreetbaptist.org.nz. Please note that the pastor does not have an office at the church building.